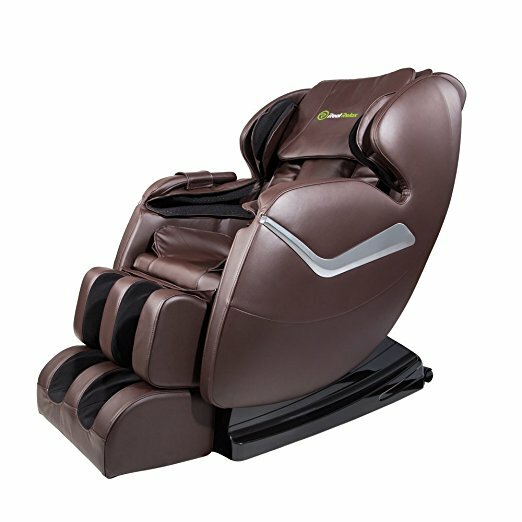 How to find the perfect massage chair? We have collected a number of useful tips for conducting research and choosing a massage chair that fits your needs. There are many options and many characteristics to choose from, most of the massage armchairs come equipped with the front of technology and at maximum comfort. Buying a right massage chair will consider what features will benefit you and other users of the armchair. Here are some points to consider when buying a massage chair. Research: The Internet allows you to do research in a simple and convenient way. Examine the leading manufacturers and models of massage armchairs available in the market. There are many sellers but the amount of manufacturers is not large, so find some manufacturers of massage chairs and go to the manufacturer's site or contact him on the phone. Most manufacturers of massage chairs are not directly recognized but will be happy to answer your questions. You can ask for specifications and be interested in more specific features in any model that has caught your eye. It is also advisable to listen to the advice of friends who have a massage chair, and not rely solely on the seller's recommendation in the furniture store or the armchairs. Consider the long term: Do you want a massage chair to solve a specific problem? If so, you may want to start with a less sophisticated and less expensive massage chair. A massage seat may be the right choice for you. Alternatively, you can think of massage chairs as a long-term solution that will combine several characteristics and types of massage. Of course, it is important to remember that the price plays a role here - cheap armchairs will have shorter warranty and lower quality components while more expensive massage chairs will have long warranty and much higher quality internal mechanisms. Types of Massage: Massage chairs offer a very large range of effective massage therapies. You will find massage armchairs that make massages - shiatsu, Swedish, deep tissue massage and many others. A little knowledge of these massage techniques can help you choose a massage chair because each focuses on a slightly different thing. Manual massage methods such as: kneading massage, drumming massage, compressing massage, etc. may be applied differently by manufacturers of different massage chairs, so it is recommended to check some armchairs and find what suits you. Other characteristics: Do you want a massage chair that will massage the lower body? Foot massage? Or maybe a hot tub? Manual footstool or motorized pedestal? There are several important decisions to make, check out other important features and choose your massage chair accordingly. Of course, not every armchair will have the exact specifications you want and you may have to choose between one characteristic and another. Consider the time you invest in research as a future investment in finding a smart home solution in the form of a massage chair that meets all your needs.